Our students are ready to power your workforce – as interns or full-time employees. For more information on reserving a table, contact the Employer Relations Office at employerrelations@cord.edu. Concordia students are challenged to think critically and become creative problem solvers, which makes them excellent employees once they get into the workforce. 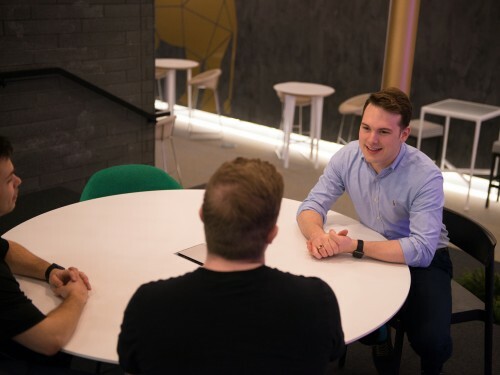 Take advantage of all the opportunities on the Concordia campus and build your business, whether it's promoting an internship or job, registering for a career fair, networking opportunities, or connecting with our Employer Relations to discuss your recruitment strategy. 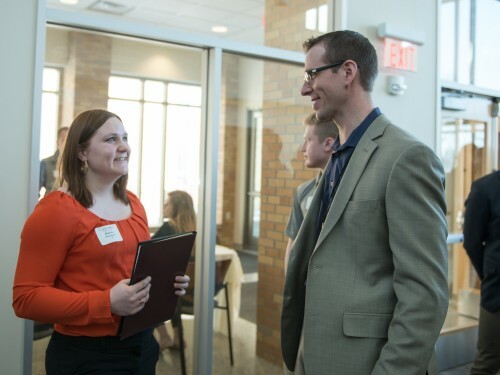 The Concordia College Employer Relations department can assist you with your recruiting, branding and campus engagement needs. There is more to Handshake than just job postings. Expanded functionality includes opportunities for employers to register for events on campus, connect directly with students, create interview schedules, and post updates and announcements. Partner with Concordia to promote your jobs, internships and opportunities. Conduct on-campus interviews, attend recruiting events and grow your brand on campus. Need assistance? Get resources for recruiting on campus including quick tips, Handshake help, more information about career clusters and our "best practices" guidelines.